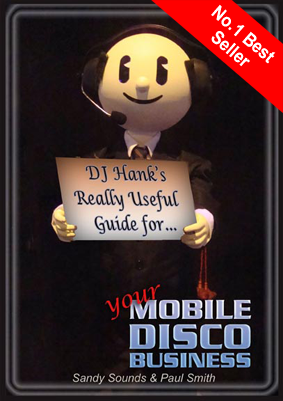 How Easy is it for a Client to Book a Mobile Disco? A potential client was trying to book a mobile DJ whilst being filmed for a reality television program. His comment, after yet another failed call, was 'You'd think people in this business would be easier to contact'. We put this to the test by contacting 200 Mobile DJs to let them know about the local DJ Meet-Ups in their area... well actually, we tried to contact 250 DJs but couldn't reach the rest of them. The next meet ups are taking place in Sept/Oct Confirmed so far are Wigan, Bournemouth & Glasgow. The largest single event for DJs in Europe is just over 2 months away. Tickets for BPM 2010 at the NEC Birmingham are now on sale with a discount for pre-booking plus a great offer. Thanks to those who suggested we have a client site for Karaoke enquiries. We thought it was a good idea too and have added one to the AMPdj portfolio. Coming up in the next Infomail - Marketing & Advertising your Mobile Disco - What's the difference?